The Executive Director of the bank, Jude Monye stated this while delivering a paper, titled, “Bank Experience in Lending to the Real Sector (Agric) of the Economy,” at the Nigeria Incentive-Based Risk Sharing System for Agricultural Lending (NIRSAL) 2018 Chief Risk Officers Forum Retreat, in Lagos, yesterday. He disclosed that increased focus on the agriculture sector would contribute to the Job creation objectives of the Economic Recovery and Growth Plan (ERGP), as its labour intensive process across the value chain has the potential of creating multiple jobs, create wealth, and increase the sector’s contribution to GDP and foreign exchange earnings. Meanwhile, Monye stressed that the under-performance of the sector is closely tied; amongst other factors; to poor credit access from banks. On the part of government, he decried that Nigeria’s Agricultural research institutes that are established to drive the sector’s business were underfunded compared to India’s. “The 2018 budget allocates N54bn and N149bn (US$490m) to the agriculture and rural development ministry for recurrent and capital spending respectively. “Agricultural research institutes have received an average of N28bn (US$90m) annually over the past five years. The comparable figure for India, with six times the population, is closer to US$2bn,” he stated. He further noted that the economic recovery and growth plan of the government is heavy on Agriculture and MSMEs as key drivers of the economic diversification plan. “Successful implementation of the Government’s Recovery Plan provides significant opportunities for entrepreneurs, investors and financiers – particularly in the Agro-allied Sector,” Monye affirmed. The Executive Director added that investments in infrastructure (energy and transportation) are supportive of the Agric-led growth. He explained that to explore options for de-risking and unlocking bank lending to the Agric sector so as to develop and position the sector for increased contribution to the Nigeria’s GDP and revenues, there is need to Continue regulatory driven intervention funds to increase access to credit at single digit rates and long tenors, Improve knowledge of Banks and Bankers on Agric finance and Agricultural Risk Management through focused capacity building and many others. L-R: Jude Monye, Executive Director, Heritage Bank Plc; Felix Ejinwa, Head, Credit Review and Monitoring, Risk Management, Keystone Bank; Aliyu Abduhameed, MD/CEO of NIRSAL; Dike Dimiri, Divisional Head, Enterprise Risk Management; Olugbenga Awe, Group Head, Agric Finance & Export; Adelana Ogunjirin, Team Member, Agric Finance & Export and Joyce Omotosho, Ag Group Head, Credit Risk Management, all of Heritage Bank Plc, during the 2018 Chief Risk Officers Forum Retreat organized by the Nigeria Incentive-Based Risk Sharing System for Agricultural Lending (NIRSAL) in Lagos, yesterday. Speaking at retreat with theme, “Achieving Economic Diversification for Nigeria via the De-Risking of Lending to the Nigerian Non-oil Sectors, the MD/CEO of NIRSAL, Aliyu Abduhameed, explained that the value chain financing is one of the major problem facing Nigerian agricultural sector. But, he pointed out that NIRSAL does this by ‘de-risking’ the agricultural financing value chain, building long-term capabilities and institutionalizing agricultural lending through risk sharing with banks, technical capacity building as well as the provision of incentives to encourage bank lending. 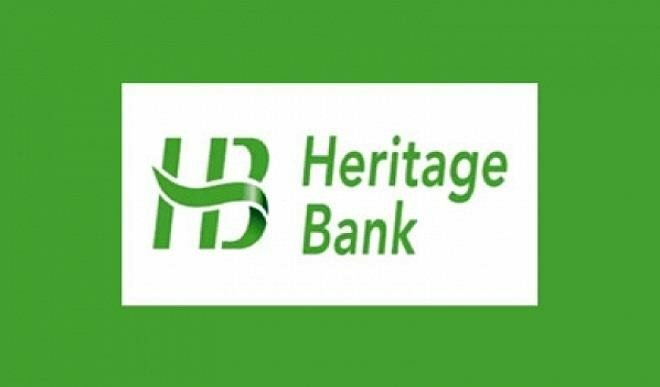 According to him, Nigeria is endowed with all the natural resources to thrive in agriculture, but the sector lacks the capital with which to maximally meet the opportunities. He stated that NIRSAL aims to increase deposit money banks’ lending and other private investment. 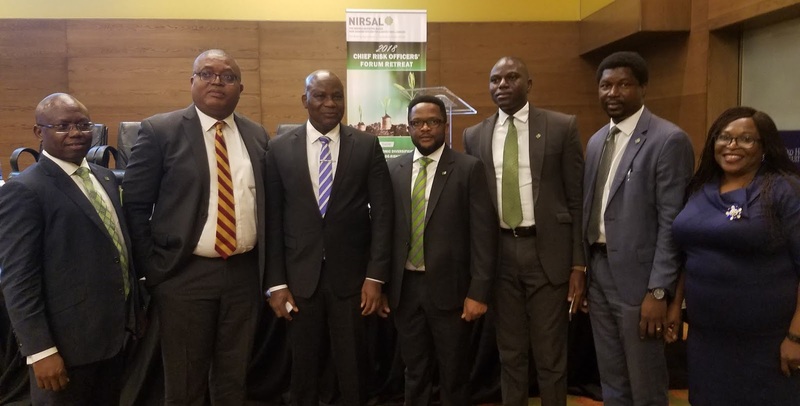 Abduhameed disclosed that proposal has been put before the Central Bank of Nigeria for NIRSAL to be recognised as collateral instrument as well as flow instrument, as this would fast track the de-risking of the value chain financing. Group ED/Agribusiness TGI Group, Farouk Gumel, as one of the panellists, stressed the need to shed more light on banking agriculture rather than de-risking. He also canvassed for more investments in infrastructure and addressing eco-climate system in the country.